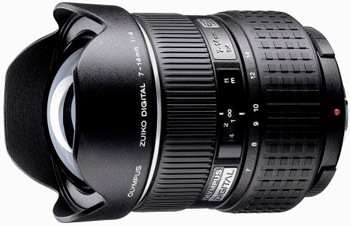 The Olympus 7-14mm f/4 ED Zuiko Four Thirds Lens is an ultrawide zoom with low distortion and astigmatism. Its relatively short 10" minimum focusing distance allows you to get close to your subject for an exaggerated effect. It is ideal for Four Thirds shooters of interiors, landscapes, vistas, and cityscapes.